Bar Stool 24" High. 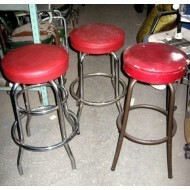 5 Pieces Available ..
Bar Stool 30" high. 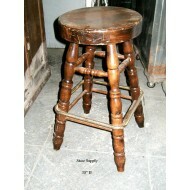 1 Available ..
Bar stool. 30" high. Oak Frame Upholstered seat ..
Bar Stool 30" High.5 Pieces Available. 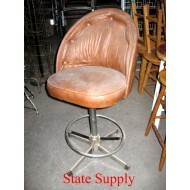 ..
Bar Stool 30" High. Cushioned. 2 Pieces Available. 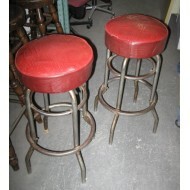 ..
Bar Stool with Brass Footrest. 30" high. 5 Pieces available. 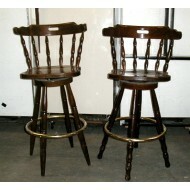 ..
Spindle Back Bar Stool with Brass Foot Ring ..
Bar Stool 30" high with Brown Vinyl Seat & Back ..
Bar Stool 30" high. Oak Frame with Green Vinyl Seat. 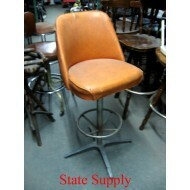 3 Stools available ..
Orange Vinyl Bar Stool. 30" high. 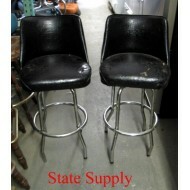 ..
Black Vinyl 30" high Bar Stool Two Stools available. ..
Bar Stool.Walnut. 30" high. 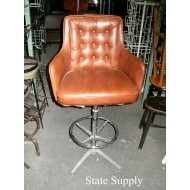 8 Stools Available ..
Bar Stool. Walnut. 30" high. 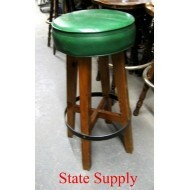 Diner Stool Green Vinyl Seat and Backrest ..
Diner Stool. Red Vinyl. 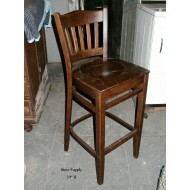 30" high ..
Diner Stool 30" high. Red Vinyl Seat ..
Diner Stool 30" high. 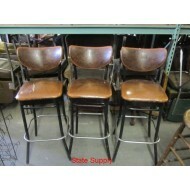 Black Vinyl Seat & Back 3 Stools Available ..
Vintage Oak & Black Steel Diner Stool. 24" high ..